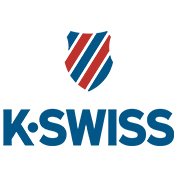 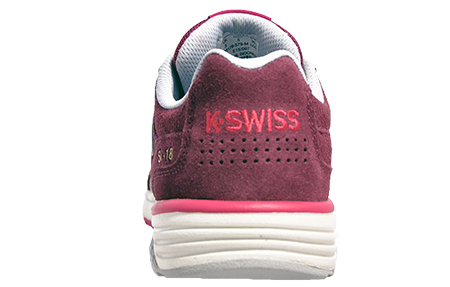 A sportier K-Swiss style with a retro look and modern feel, these SI-18 trainers are fresh in a purple and grey colourway and feature a breathable upper in premium suede leather with a textile mesh insert. 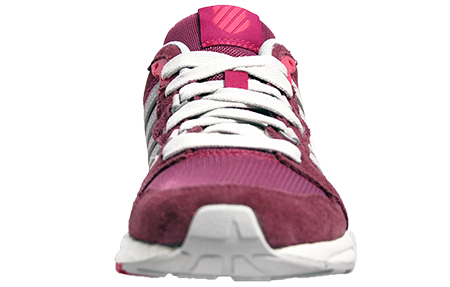 These women’s trainers feature a supportive collar and perforated heel area to keep feet comfortable throughout your day. 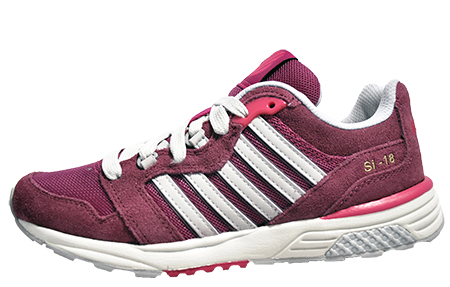 Featuring a cushioned rubber sole for shock absorption and extra grip, these SI-18 women’s trainers will effortlessly take you from day straight through to night. 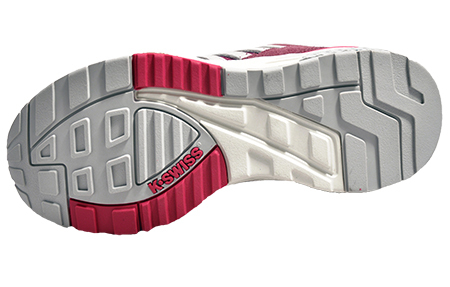 These K Swiss SI-18 trainers feature a breathable suede leather upper combined with a low cut silhouette for casual laid-back style. 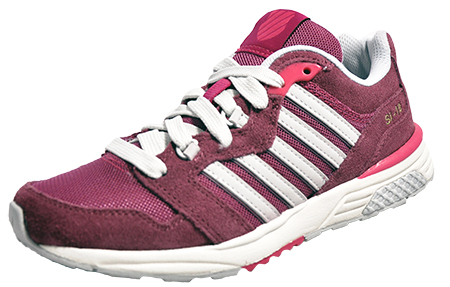 The lace up fastening is combined with D-lace loops to keep feet secure whilst the Shield logo to the tongue, the signature side stripe branding and embroided branding to the heel offer retro finishing touches.